So, Saturday I was sitting as a volunteer on my perhaps longer than everybody else’s lunch break picking apart pistachios and eating them feverishly. 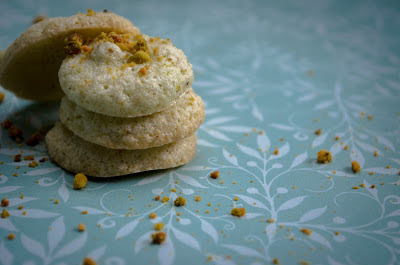 I had wanted to try macarons for sometime, and though pistachio macarons would be great! After some contemplation I decided to put a caramel ganache in the center. I looked up some recipes for each and started in the kitchen. Now, you might have noticed the title of this post isn’t macarons. 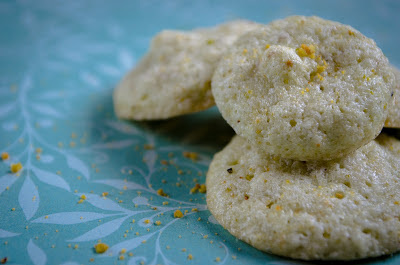 Well, lets just say, the macarons failed and pistachio egg white cookies too their place. So at this time in my story, I was sitting at my counter staring at messed up macarons and thinking: Well then they can just be sandwich cookies. So I got to making the ganache. All was well and almost finished until I sat with the electric mixer running in my hand over the soupy ganache and… nothing happened. Now I was realizing I had nothing to show for the past two hours except thin sticky blobs of meringue and caramel cream soup. Sift almond flour, powdered sugar, and pistachios together in a large bowl. In a separate bowl whipp egg whites untill frothy, add sugar, and continue whipping untill firm peaks form. Sprinkle half of the dry mixture over the egg whites and fold to combine. Sprinkle the rest of the mixture and fold to fully combine again. Use no more than 50 strokes durring the entire folding process. 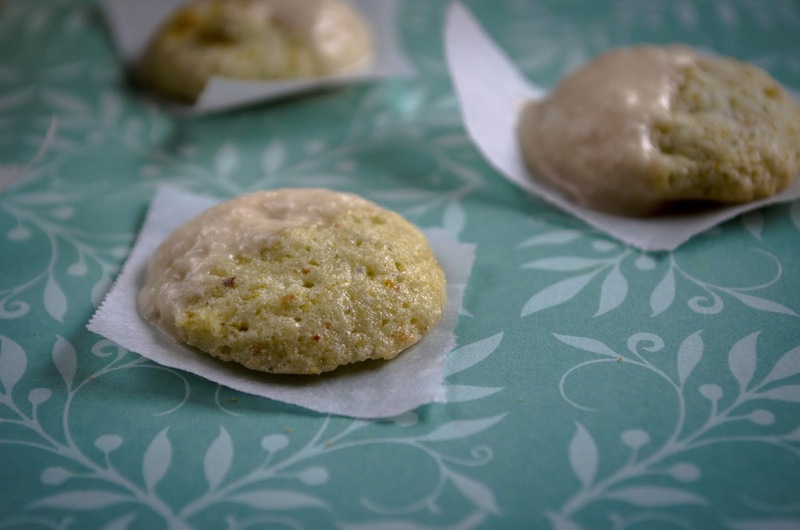 Pipe batter onto a cookie sheet lined with parchment paper. (Small 1 inch circles would be best). Let sit for 30 min, then bake for 21 min in a 280 degrees F oven. Let cool completely before removing from pan. Place water and sugar in a saucepan without stirring. Place in a medium to large saucepan over meduim heat, until light brown. Slowly swirl the mixture and place back over heat until golden brown, then remove from heat. Slowly pour in the whipping cream. (Please be careful with this step, the caramel mixture will sputter and bubble. I would suggest wearing long sleeves.) Stir until mixture is combined, then set aside to cool. Once the caramel coating is cool, dip half of the cookies into the coating. Only do this right before serving! If you wish to eat them later, refridgerate the coating until ready to eat and/or serve.